An Answer to the tough question: What is your favorite thing? 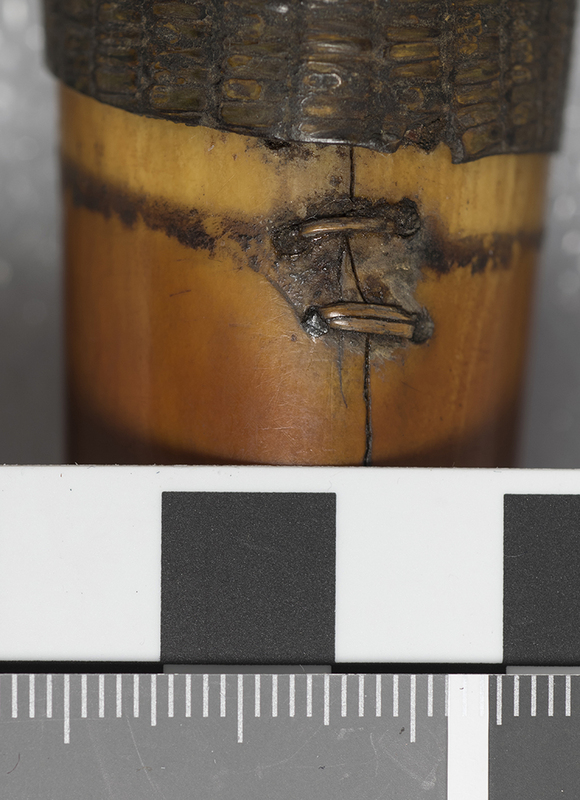 This trumpet is carved from elephant ivory (identifiable by the clearly visible Schreger lines). 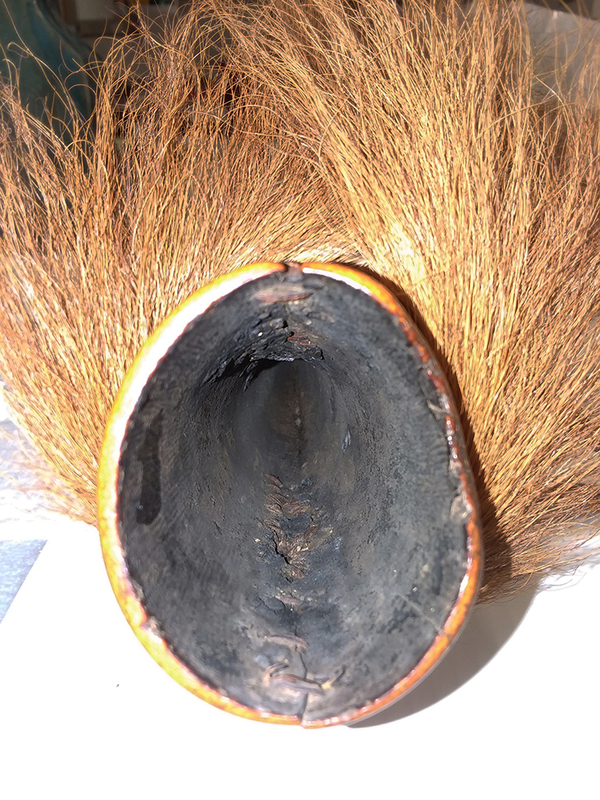 There is some type of reptile skin wrapped around one end and stitched together on the side, and animal fur that literally makes this object look like a rock star. All these details make this object beautiful, but what makes it special is what is hiding beneath the skin. In a few spots where the reptile skin has shifted you can glimpse repairs. 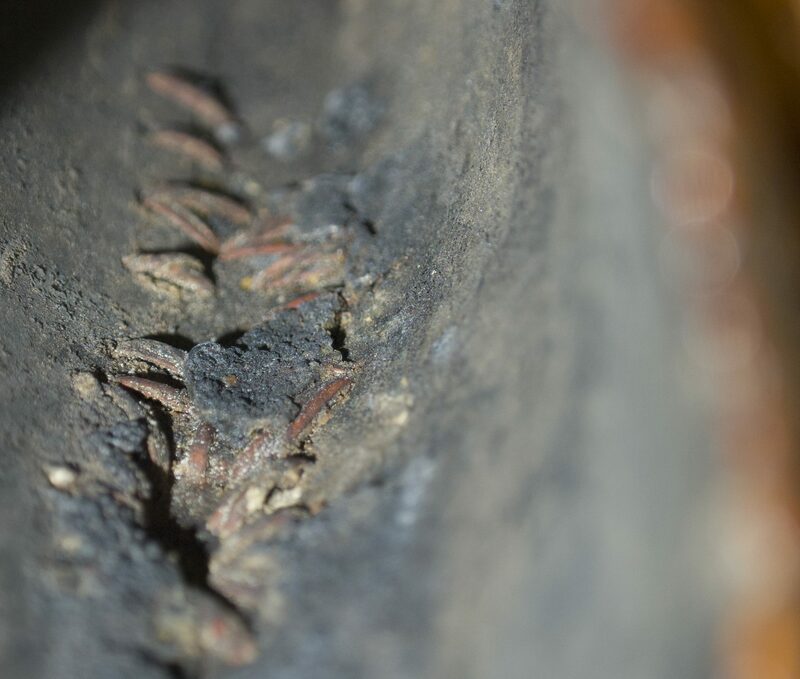 The repairs are even more visible from the interior of the object. It seems that at some point, probably when this object was in use, the ivory split. It was then repaired by drilling holes into the ivory and stitching it together. There is also some type of resinous mixture that was put into the join. The reptile skin may have been added to both hide the repair and support it so that the object could continue to be used. It is these glimpses of the life of the object that make it so special. It tells not just the story of its craftsmanship but also the people who used it and cared for it. 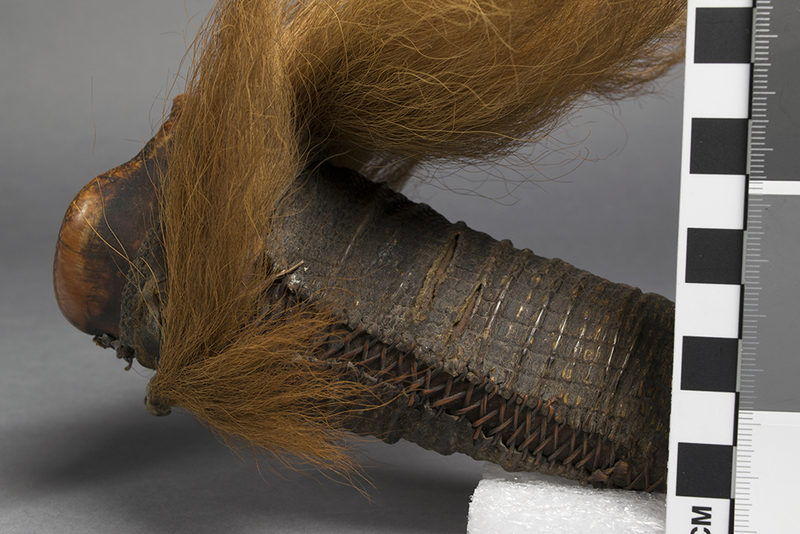 To see this object in person, visit the new Africa Galleries when they open in November of this year! 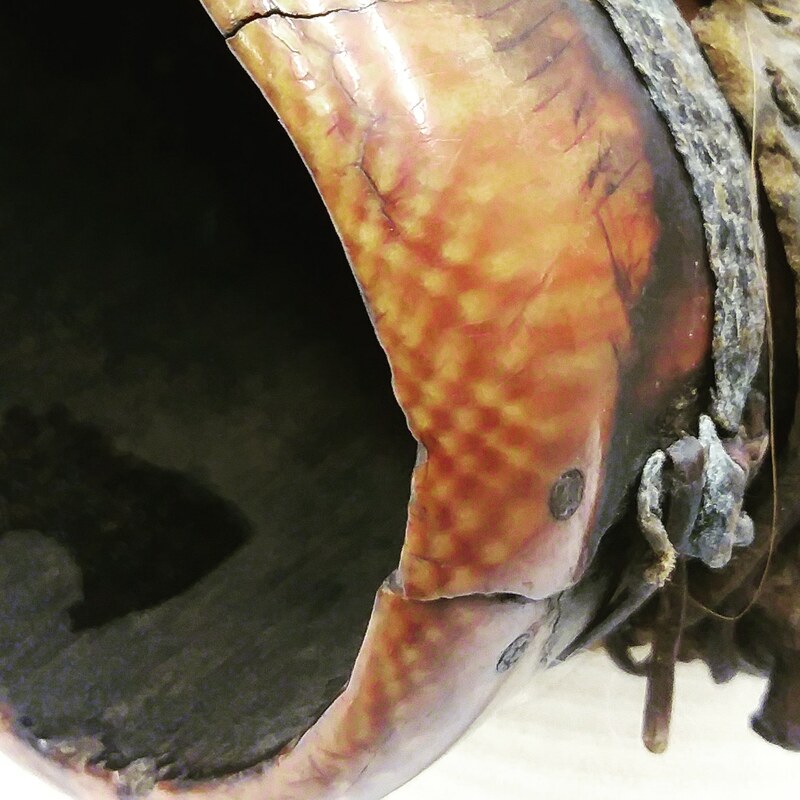 This entry was posted in Africa, Artifact Lab visitors, Building Transformation, examination and tagged Africa, Building Transformation, conservation, Democratic Republic of Congo, historic repairs by mollygleeson. Bookmark the permalink.